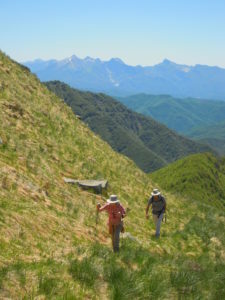 Apennine National Park hikes: explore the Park hiking or trekking along its beautiful ridge path with stunning views over the Lunigiana Valley, the Apuan Alps and the sea. The Apennine National Park is the border between Tuscany and Emilia Romagna, dividing Lunigiana from the Provinces of Parma, Reggio Emilia and Lucca (Garfagnana). It also represents the passage from the continental to the Mediterranean climate, as well as the border between two environments characterized by very different morphology, history and landscapes. From blueberry moorlands dotted with glacial lakes set on mild slopes stretching towards the Padana plain, to the steep Tuscan side, featuring chestnut and beech woods ending in bare sandstone peaks. Two mountainsides very different but both perfect for a wide range of day to multi-day excursions. 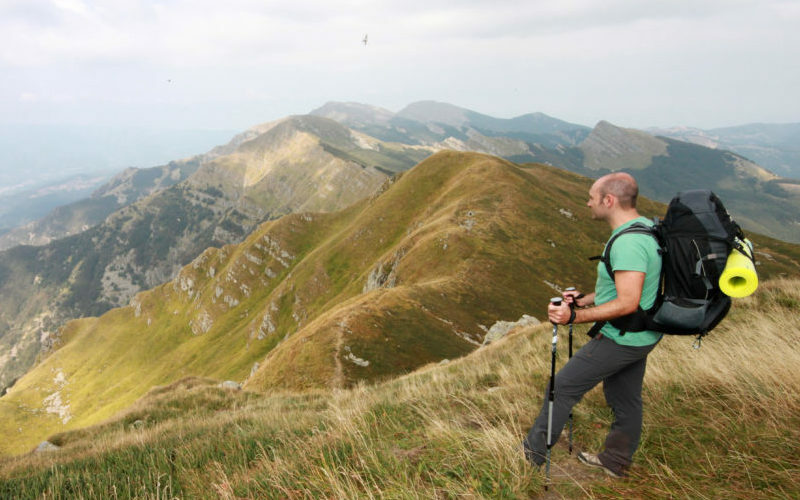 With our Apennine National Park hikes you will walk along the impressing ridge path, from one pass to the other, enjoying breathtaking views. We will hike steep paths immersed in history and rural traditions that have enriched the nature of these mountains since ancient times. From the ridge you will get spectacular views over the Lunigiana valley, dotted with hilltop medieval villages and castles, to the amazing Apuan Alps peaks as far as the sea. The Apennine National Park, together with other local territories, has been recognised by Unesco in June 2015 as a Man and Biosphere Reserve, confirming the crucial relationship between these mountains and man history.